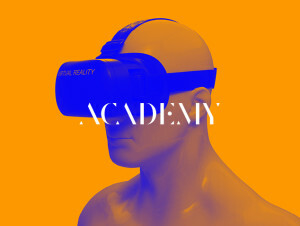 The Future Index Academy aggregates the very latest trends, innovations and case studies that Higher Education marketers need to know about, delivered through a unique, interactive learning experience. Our mix of full screen images, videos and stickers encourages enthusiasm, participation and instant ideas. We share the big picture of education and showcase marketing excellence from across the globe. We also present the wider marketing trends that our target audiences are tapping into – with examples from brands such as KLM, Apple, Airbnb, Virgin Trains and Hollister. We’re very proud of the reputation we’ve built for our unique approach. Our latest net promoter score of +67 is evidence of how participants are keen to recommend the events. Our events are the perfect opportunities to fast-track team members that are hungry for knowledge of what’s happening across the world, of what the next trends wave might be, and how they can apply it all to their own institution. It’s ideal for networking with like-minded professionals too, without giving any secrets away! Previous delegates have come from a range of universities, and a variety of roles, including marketing officers, managers and directors – anyone that’s keen to accelerate their digital marketing knowledge, content prowess and storytelling skills. We’ll be announcing new events for the Spring very soon. ‘Thanks for the event! As always it was really informative regarding the best activity in and outside the HE sector and also it was brilliant to meet so many different marketeers from around the country.’ – Paddy Critch, University of Manchester. ‘The Digital Hack was unlike any other higher education marketing course I have attended. It was fast-paced, dynamic and engaging and we covered a huge amount in a short space of time. The afternoon session, which brought us together to work collaboratively, was fantastic and helped to put everything we had learned in the morning into practice. I can’t wait so share some of these new ideas with my colleagues.’ – Emma Pritchard, Bangor University. ‘I thoroughly enjoyed #DigitalHack17 at MediaCityUK in Salford – a unique opportunity to meet like minds across the HE marcomms landscape and share ideas, inspiration and new ways of thinking about crafting engaging campaigns and content strategy.’ – Chris Roden, University of Glasgow. ‘I was really happy with the event – I thought it was full of really useful information, and it left me feeling inspired to go and create some amazing content for my university.’ – Becky Owen, Leeds Beckett University. ‘I found the session really worthwhile. The presentation and activities were thought provoking and insightful and gave me several ideas to take back and look to introduce into our marketing activity. It was also a fantastic opportunity to network with other professionals in similar positions.’ – Richard Mann, University of Salford. ‘Jim from the Future Index is one of my all-time favourite speakers – he’s engaging and adds so much value. Every time I’ve seen him present, I’ve come away with a tonne of inspiration, a wealth of wonderful case studies and a load of ideas for my own work. When Jim has something to share, I always take notice – I can’t recommend him and his events enough.’ – Dave Musson, Net Natives. ‘Future Index has been a really useful resource for engaging the team, for sparking new ideas and for stimulating debate – and for more than a few actual new projects!’ – Emma Leech, Director of Marketing & Advancement – Loughborough University. ‘The team always leave a Future Index session enthused, re-energised and full of exciting new ideas.’ – Rachel Sandison, Director of Marketing, Recruitment & International, University of Glasgow. ‘We really value Future Index’s creative & inspirational expertise. They give us in-sector & out-of-sector ideas to spark our own light-bulb moments. They are the first people I think to call when I need brilliance or just practical guidance! – Angelina Bingley – Director of Admissions, Recruitment & Marketing, University of East Anglia. ‘I would highly recommend Future Index to anyone wanting to inspire creative thinking in teams .’ – Ann Fernandez, Director of Marketing & Communications, Bournemouth University.